I am a hairstylist with fifteen years experience behind the chair and a lifetime of love for all things hair. I offer cut, color and styling experiences in salon. ​ My background includes extensive training in color, color correction and cutting techniques, mentoring new stylists, and building business through excellence in service, continued education and client relationship. After foundational years in various salons including Visible Changes and Beautique Day Spa I knew it had come time to break the mold and create something to call my own. Capelli Prima is six years strong now and continually growing. I guarantee you only the best from your cut to the color and company. It is an honor to be chosen as your stylist and I can't wait to see you at our next appointment! Capelli Prima is Brazilian Blowout Certified to conquer Houston humidity. 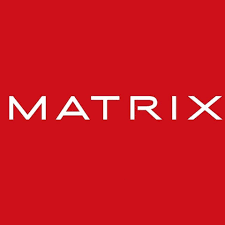 We use Matrix Haircolor for all colorations. Living Proof, Brazilian Bond Builder, and Brazilian Blowout hair care lines are proudly retailed.